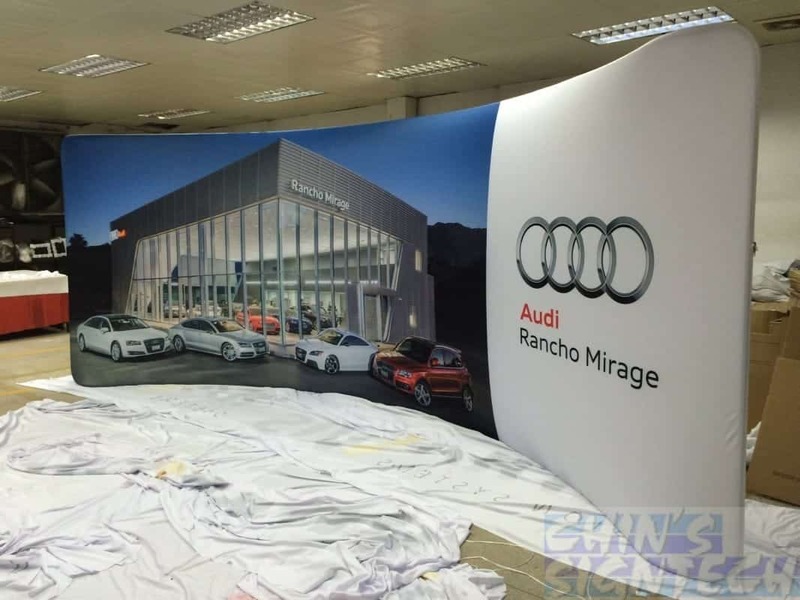 Tension fabric trade show displays easy assemble & convenient to transport. 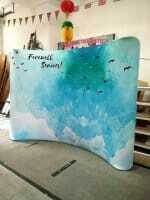 Weight only 8.4kg for a 3×2.25m, lightest display to bring it oversea for your back wall displays. 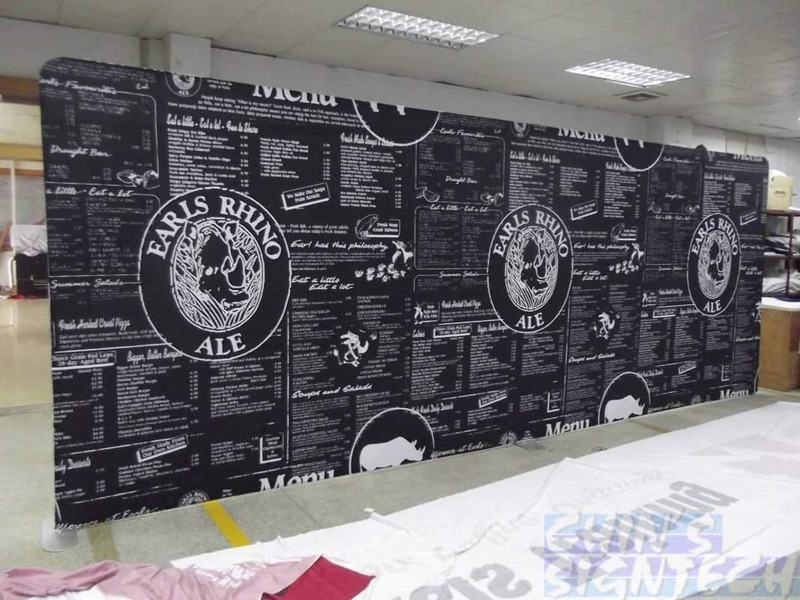 Printed by dye sublimation textile printer, one single piece fabric without any joints. 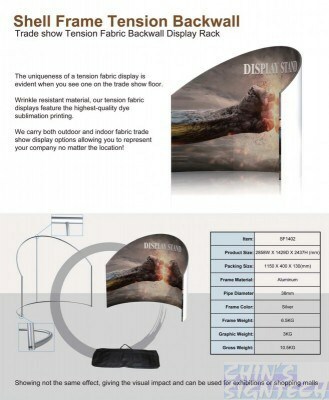 Doesn’t reflect light, available in many different shapes and sizes. 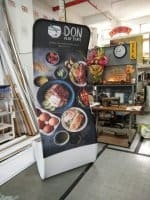 These Portable Fabric Backdrops Stands are unique and elegant. 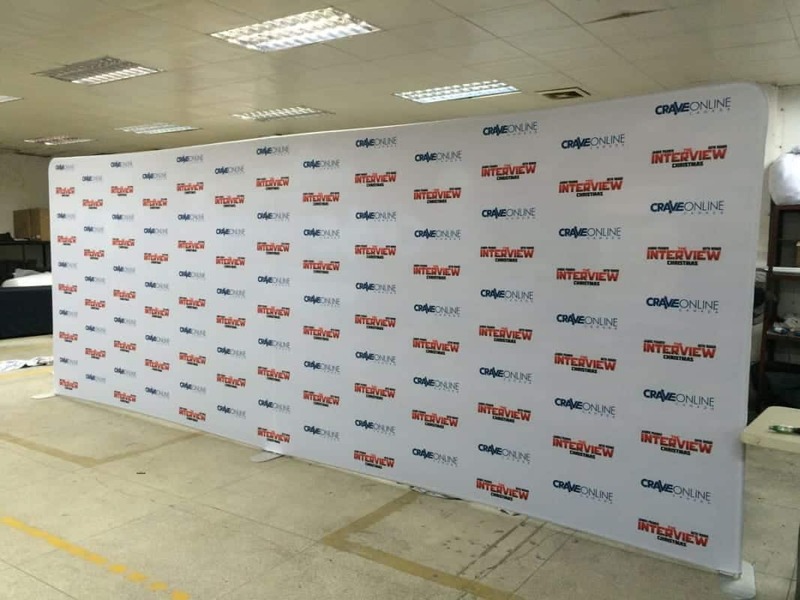 Compare to those boring sticker or PVC square shaped backdrops. 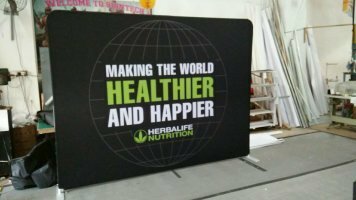 They have round edges at the top, come in figure C , S , I and B on different shapes which bring in more lively atmosphere to your event ! 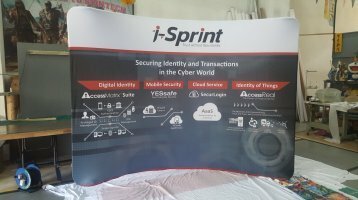 10ft fabric display is only 7kg+ versus 20kg+ on those old school Magnetic Pop up display. 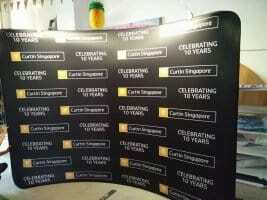 Fabric display price is lighter (cheaper) also ! 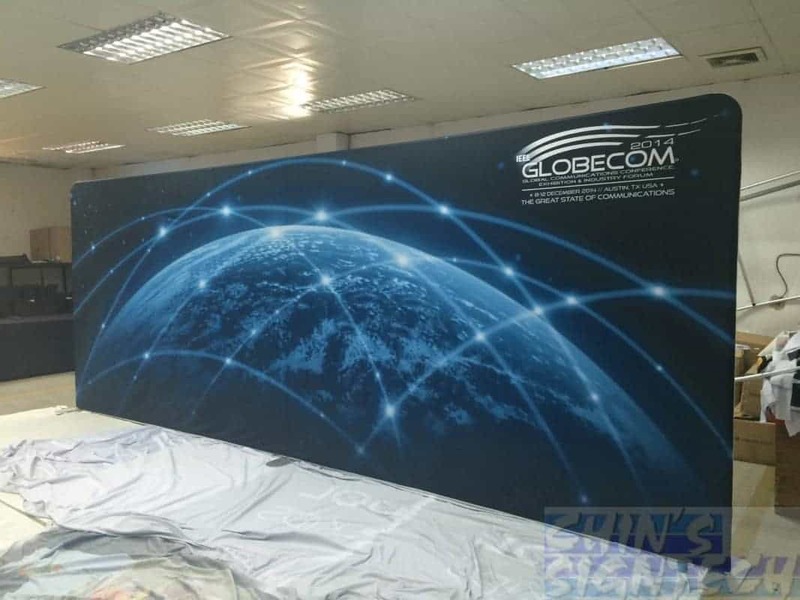 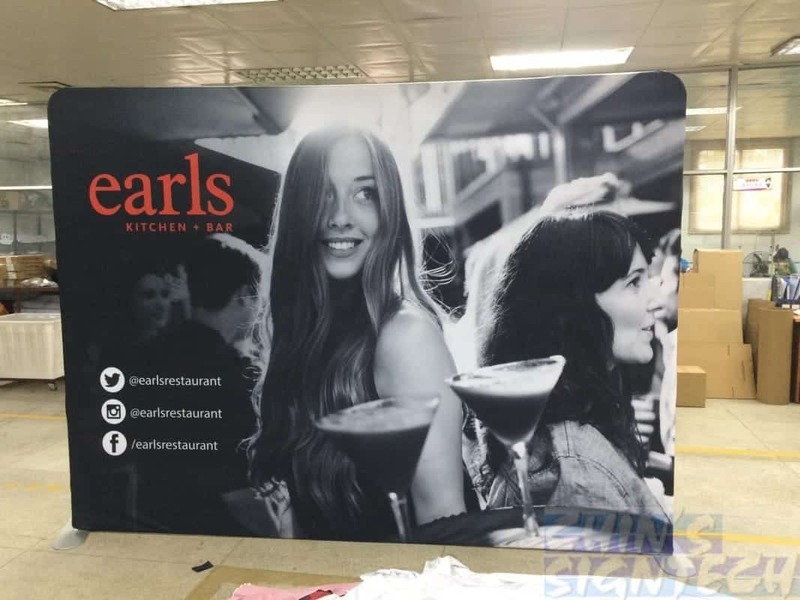 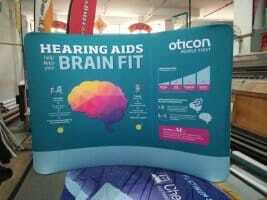 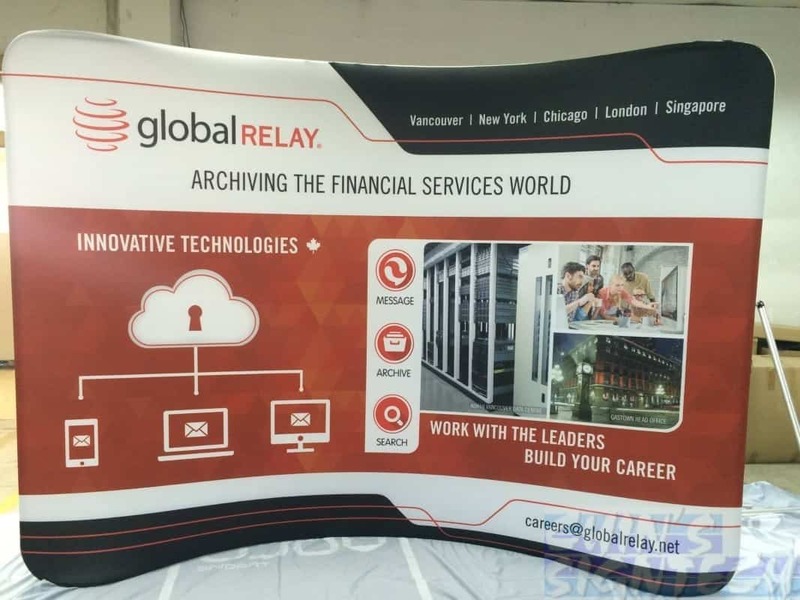 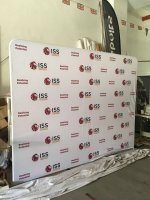 Our top quality step and repeat Tension Fabric Display is printed on Spandex fabric by dye sublimation printer. 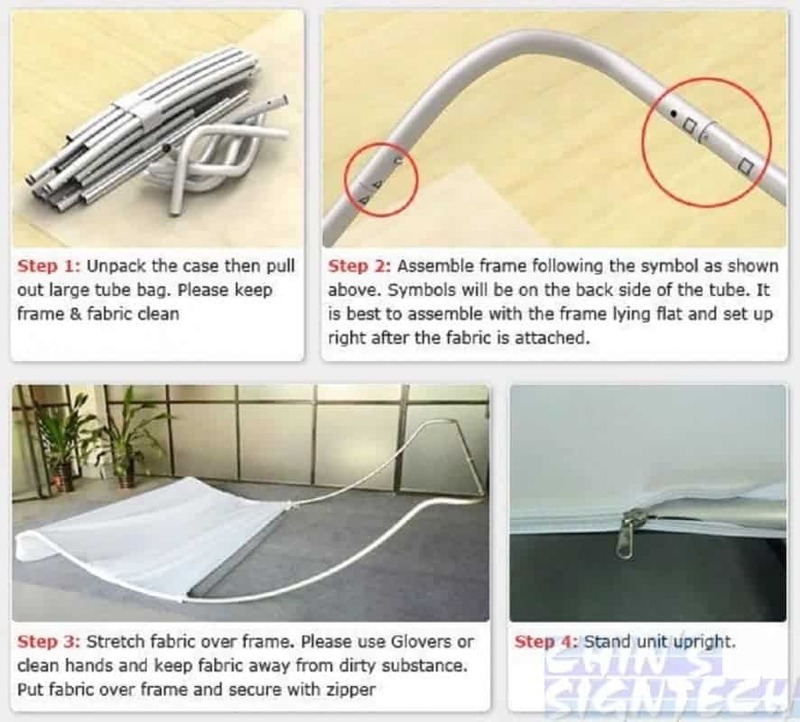 It is stretchable, wrinkle free and doesn’t reflect light. 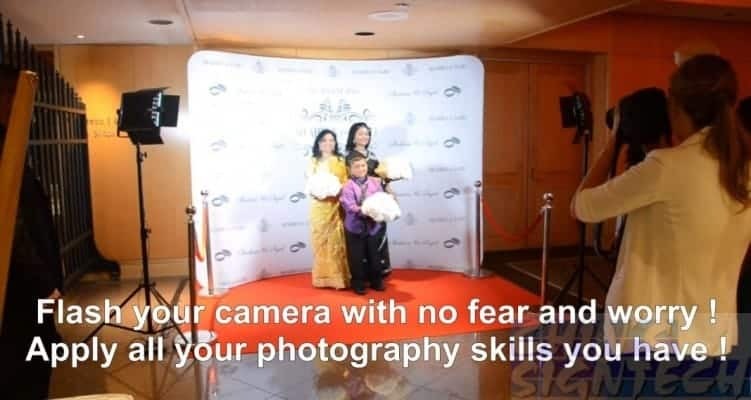 There is absolutely no glare or reflection when you use your flash light. 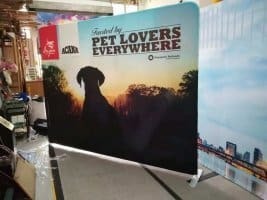 Sticker and PVC backdrops reflect light. 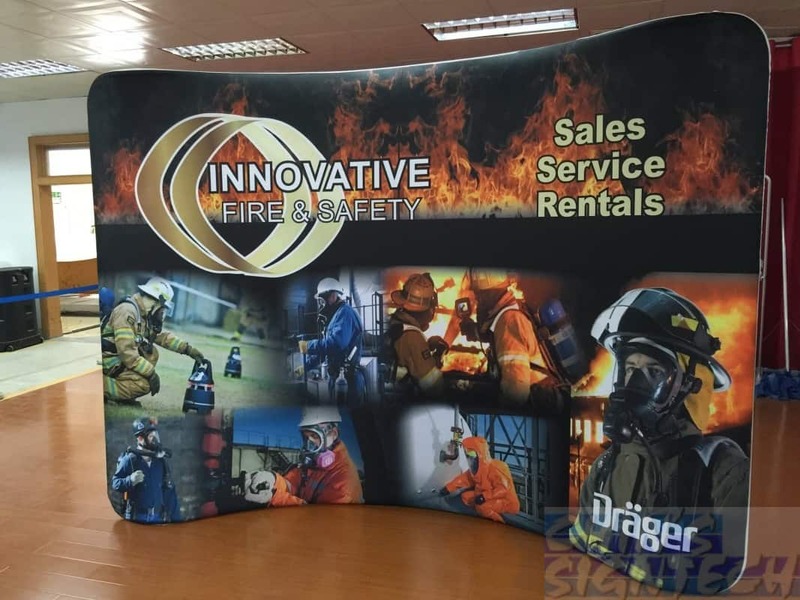 Washable and B1 fire resistant. 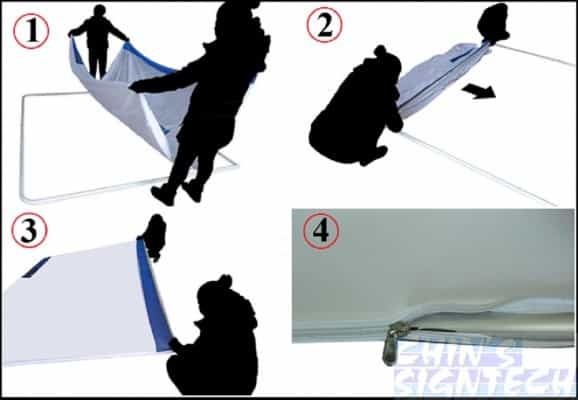 When it come to emergency cases, just pour water on the fabric backdrop and you are ready to block fire. 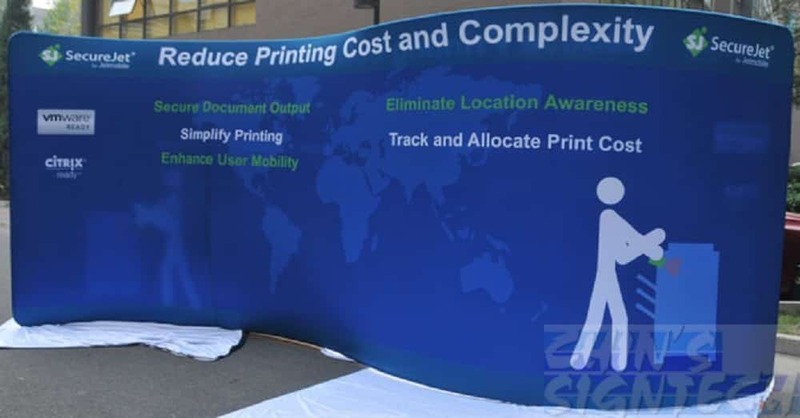 Economical, easy to replace the printed fabric. 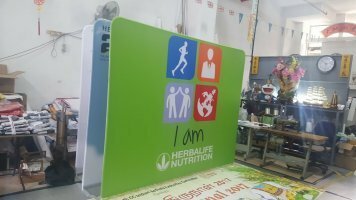 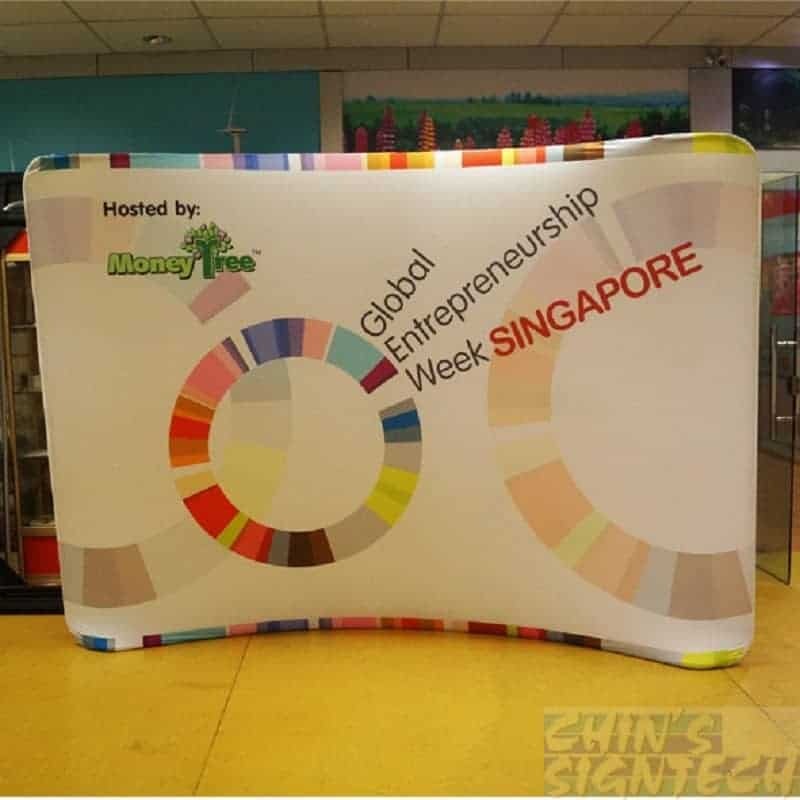 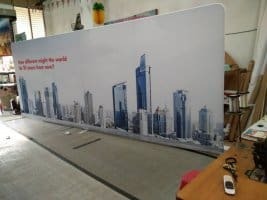 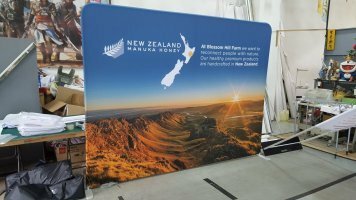 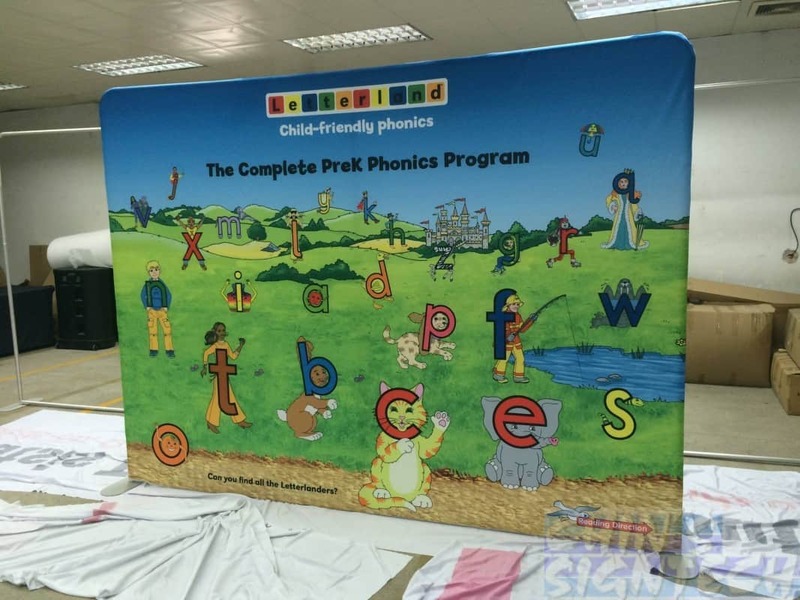 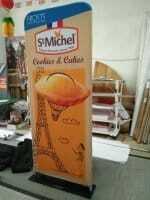 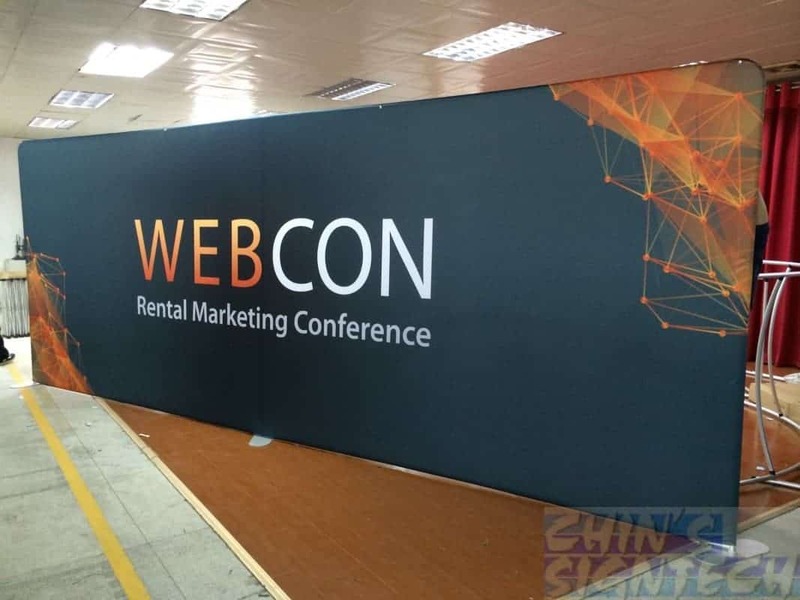 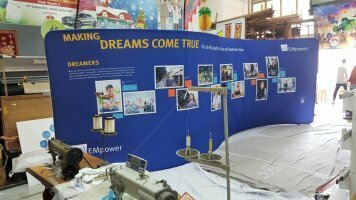 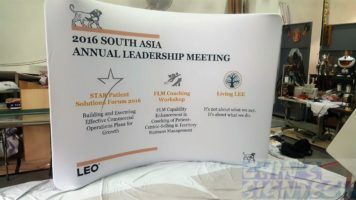 If this portable backdrop stand is used for signing ceremony, it can be kept as souvenir, you can frame it and hang on your wall or you can send it to tailor and make your custom blanket or bed sheet. 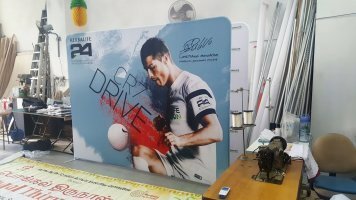 Unlike PVC, Sticker or Pop up display system, you can’t keep the media and reuse it. 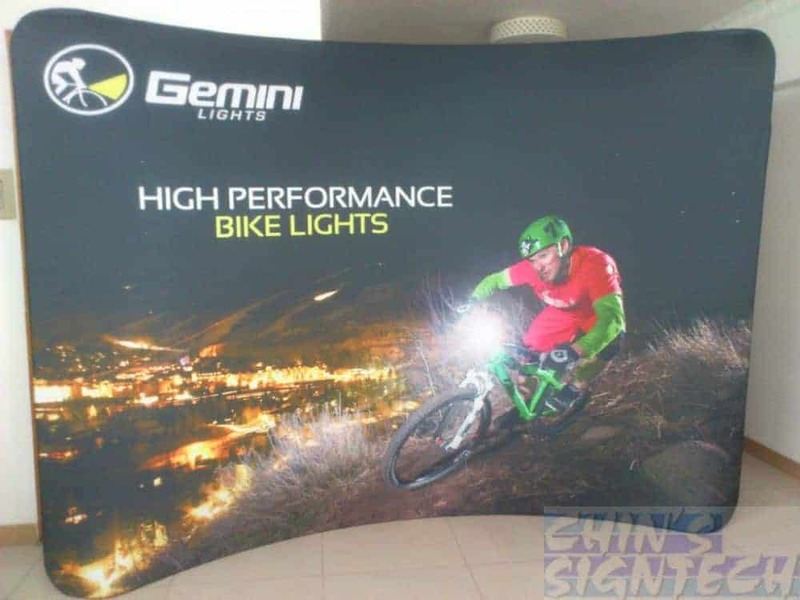 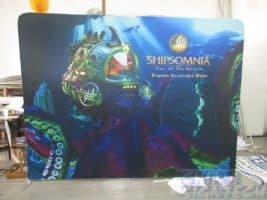 We use high quality dye sublimation ink (Not from China) to print on the tension fabric, to bring bright and vibrant colours on the tension fabric displays. 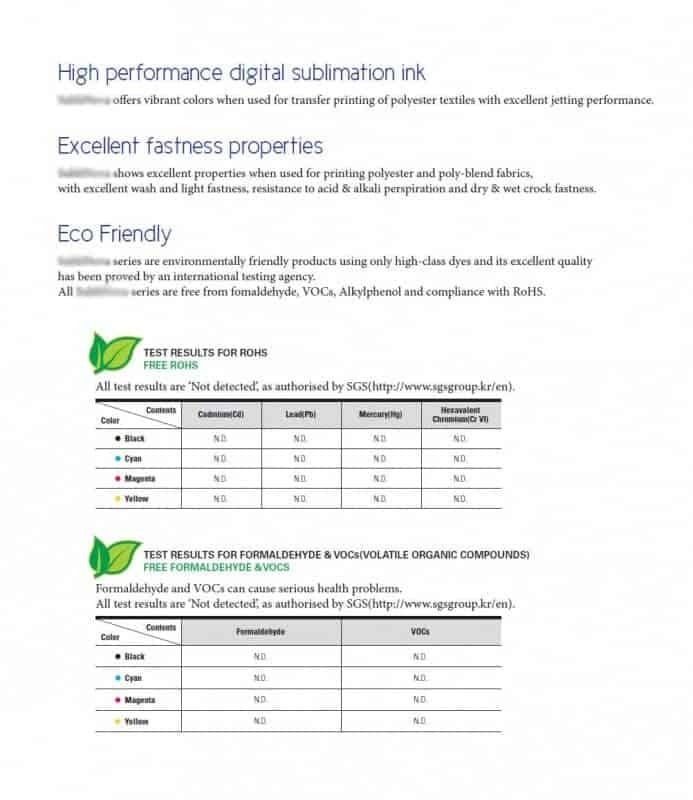 Furthermore, these sublimation ink uses harmless environmentally-friendly dyes, and has been certified as environment friendly from an international test agency, so it is safe to use the fabric as blanket if you feel cold. 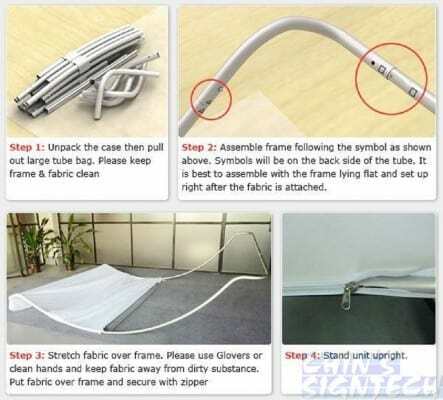 The stretchy material eliminates wrinkles when pulled taut. 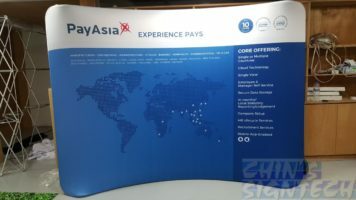 This booth display is constructed from aluminum tube frame that sets up with a snap of a button. 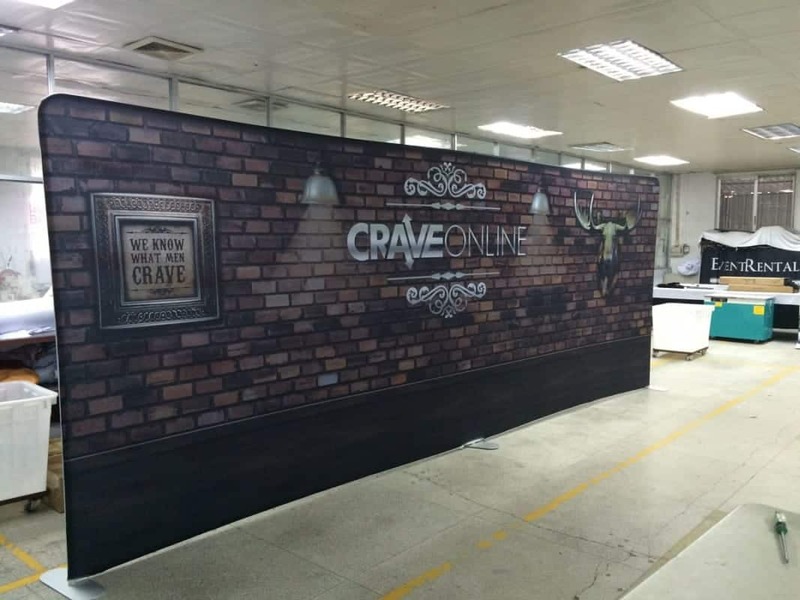 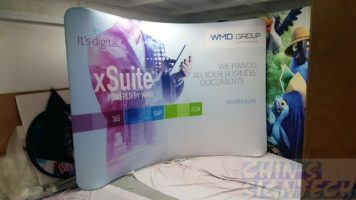 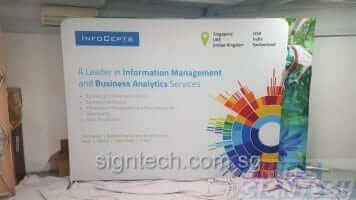 The trade show backdrop is therefore incredibly portable due to the knockdown design. 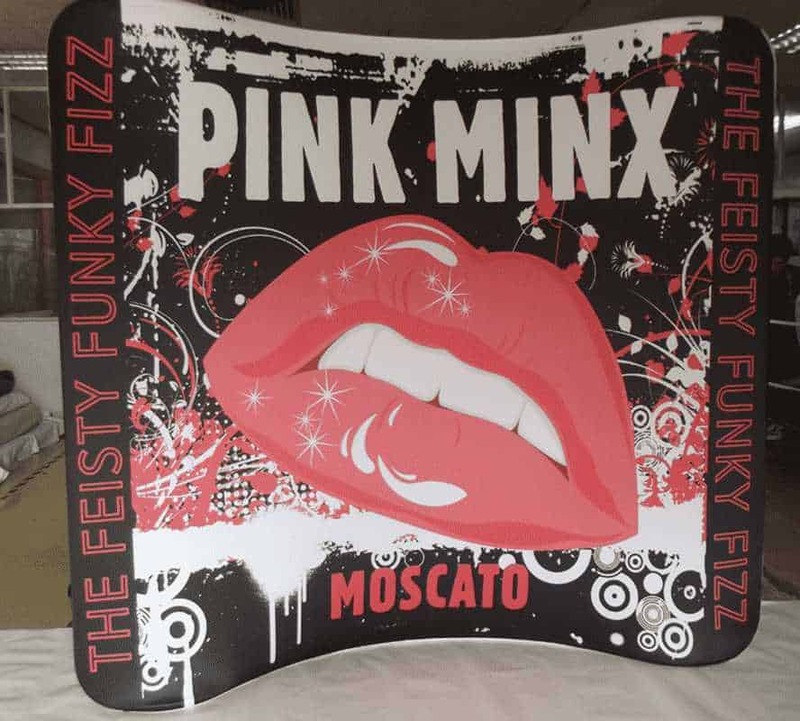 • Pillow case stretch fabric graphic fits snugly over the tube frame. 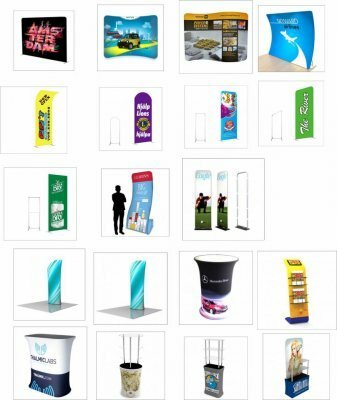 • Attractive smooth seamless graphic marketing display. • Light weight for convenient transport and low cost shipping. 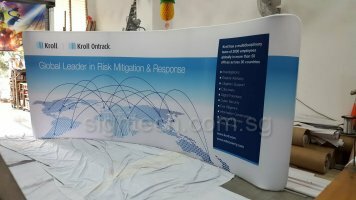 • Available with double sided graphic. 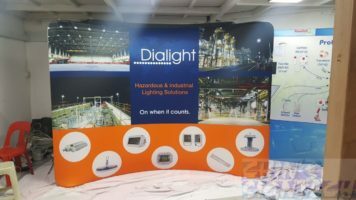 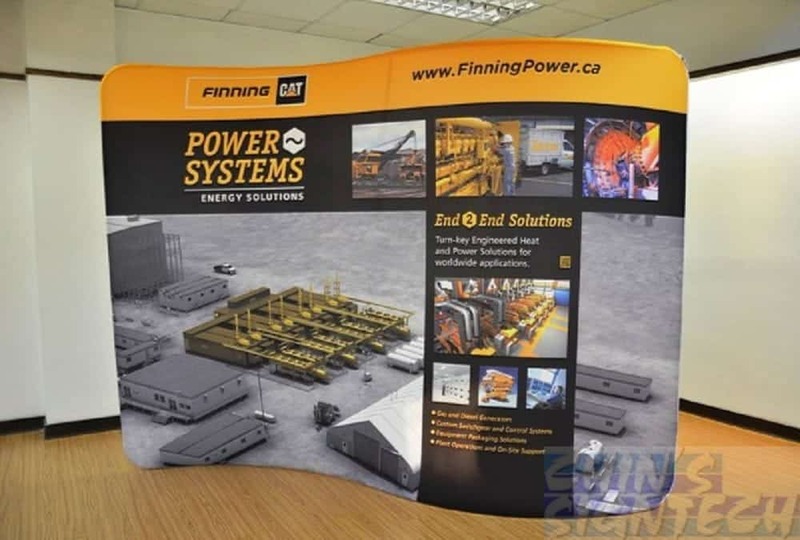 Fabric Tension Displays can evolve your trade show booth into a successful marketing tool. 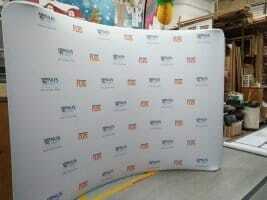 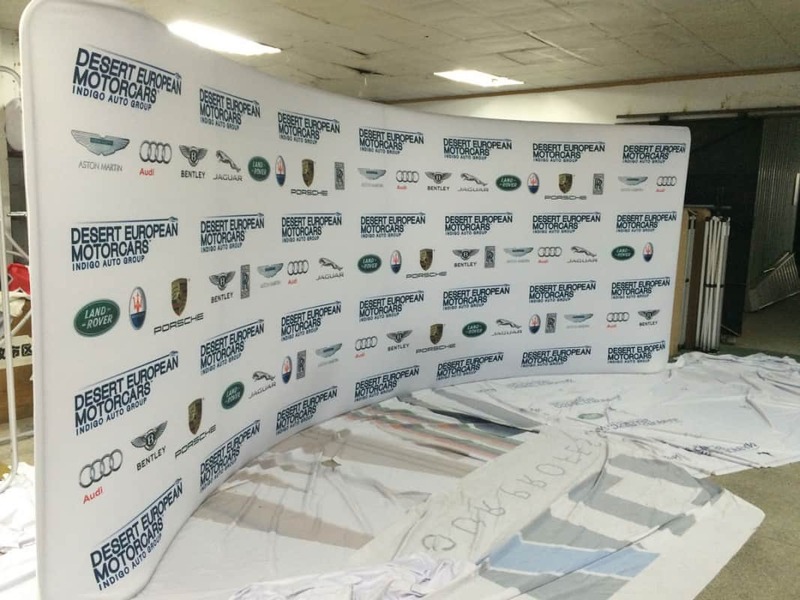 Rent or purchase step and repeat portable fabric backdrop display ? 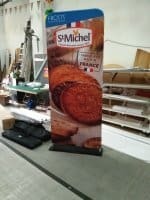 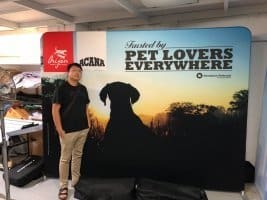 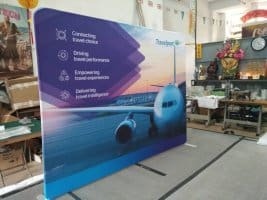 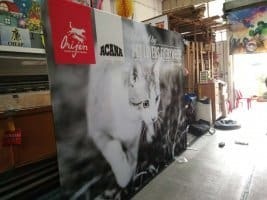 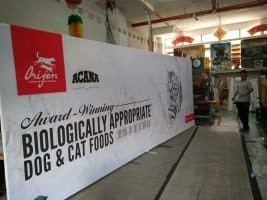 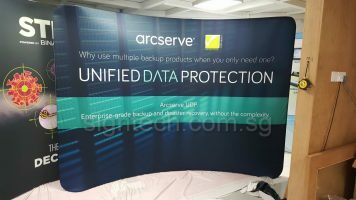 It’s best to purchase the step and repeat fabric banner display system when you have multiple events for exhibition, trade show or photography. 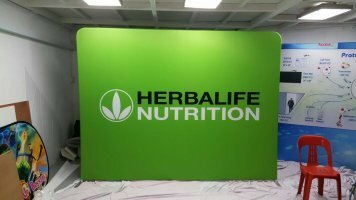 The whole display system comes with an easy to set up frame, custom-made fabric backdrops and a storage bag. 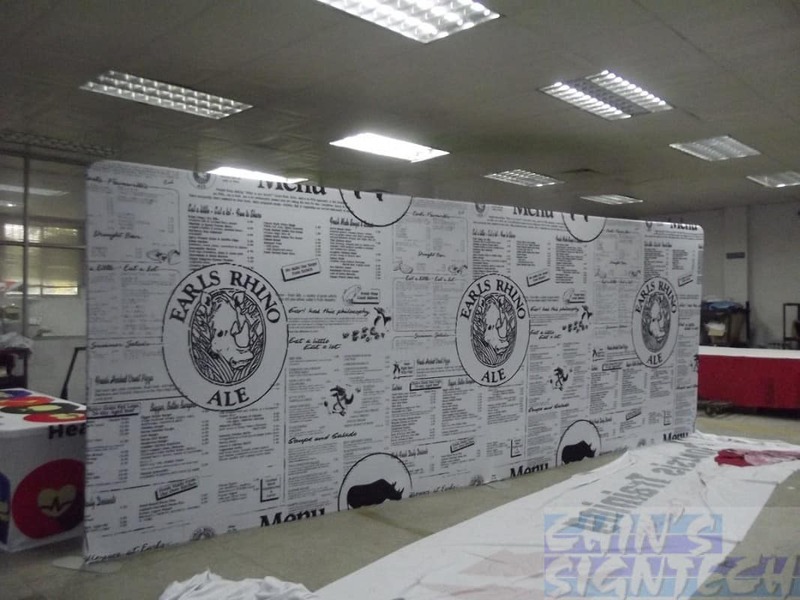 The printed fabric media can be easily replaced. 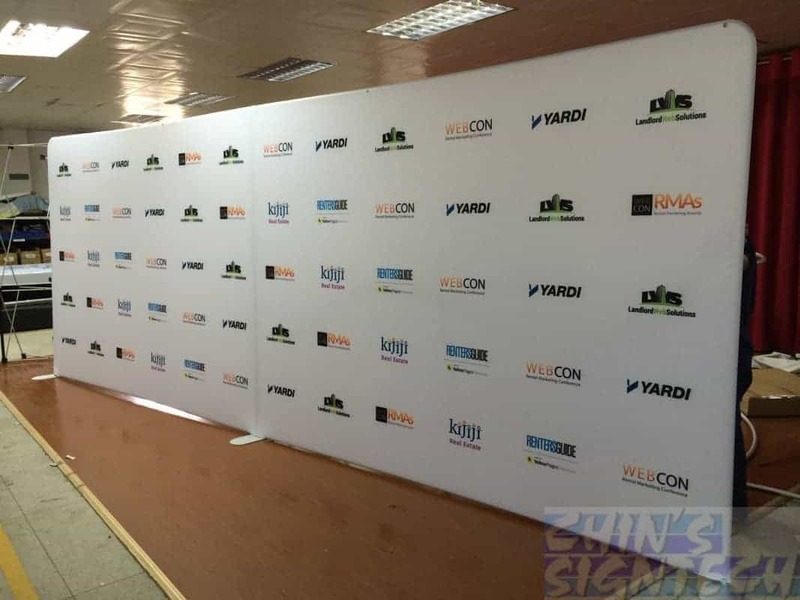 Our top quality media wall backdrops and sturdy frame are your best investment. 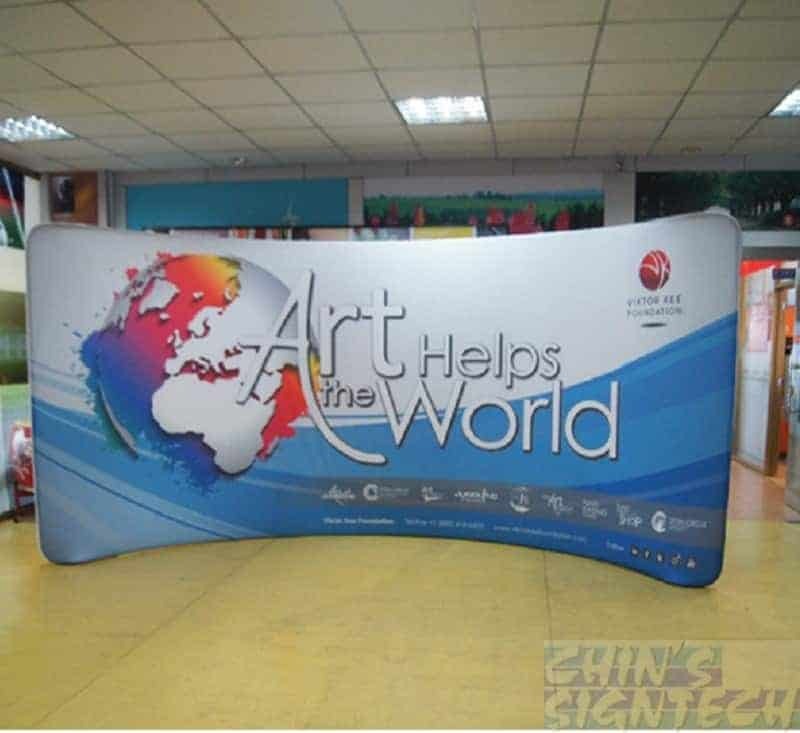 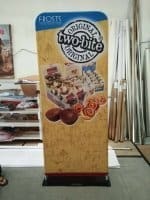 We offer display system rental for events purpose @ $350 with printing. 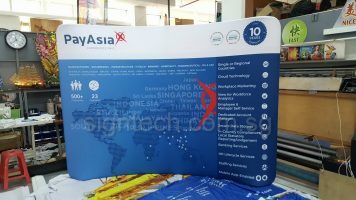 Self collect and return with deposit. 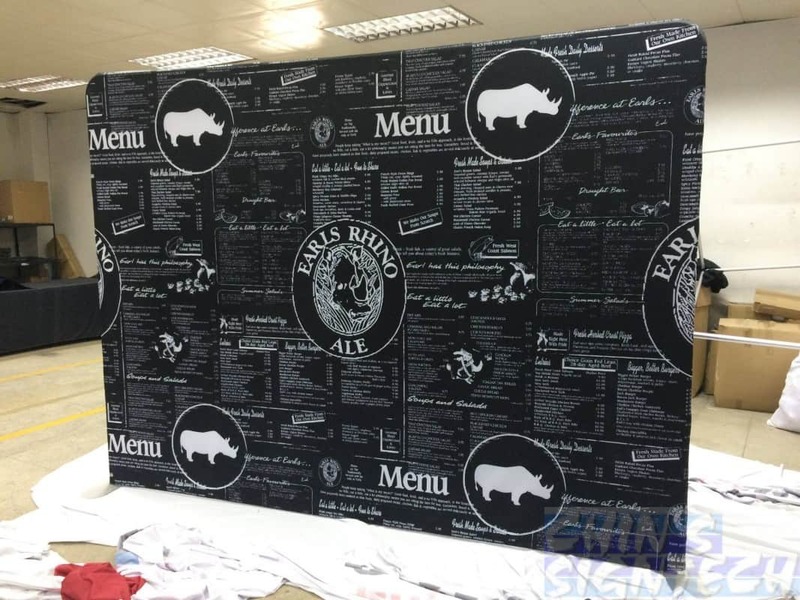 Best part is you can keep the Fabric printing ! 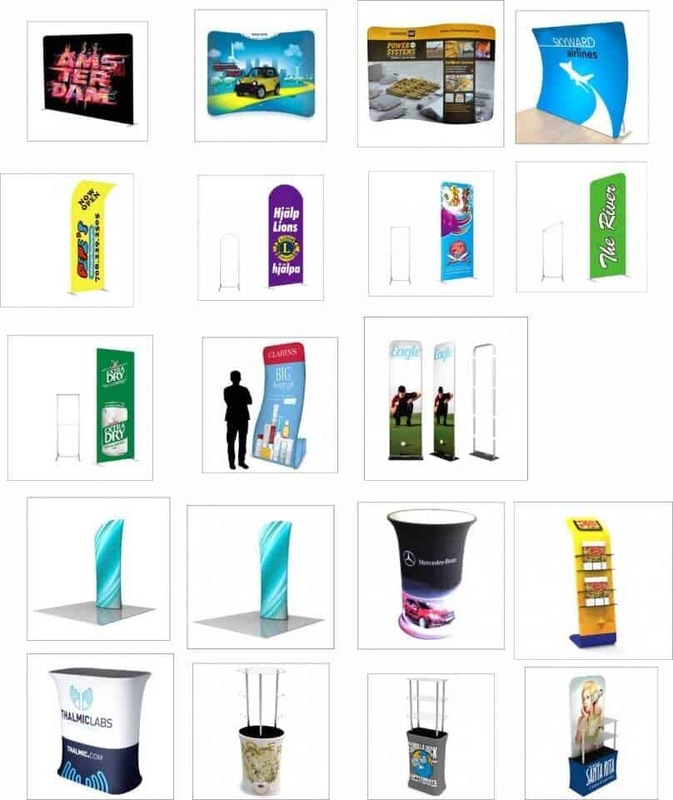 Different type of Fabric Pop up display and Tension Fabric Display system.